With repayments, some have started collecting 2nd (improved) loans of N15, 000. Contrary to speculations in some quarters, the TraderMoni scheme and other GEEP micro-credit products (MarketMoni and FarmerMoni) a component of the Buhari administration's Social Investment Programme, are still very much in operation, Mr Laolu Akande, the Senior Special Assistant on Media & Publicity to the President (Office of the Vice President), has said. Mr Akande disclosed this in a progress report on the GEEP micro-credit products (TraderMoni, MarketMoni, and FarmerMoni). According to him, "So far, a target of 30.000 minimum beneficiaries per state has been achieved in majority of the 36 states and FCT since after the national and state polls." Besides, he added that "what the implementing agency has been doing since the last phase of disbursements is generating the balance of program funding while ramping up on the states with shortages." "Consequently, disbursements have continued to happen in the states; for instance, we have had over 28,000 disbursements across 10 states since after the elections. Our priority is ramping up these numbers in the balance of states before we move to phase two of the program after detailed reviews and structural enhancements for larger scale. Under the Next Level agenda, Trader Moni loans will target ten million petty traders, a significant ramp up from the initial target of two million beneficiaries. On the role of the Ministry for Industry, Trade and Investment in the implementation of the scheme, he said, "it is actively involved in the project.” Mr Akande said, “that ministry is, in fact the over sighting Ministry of Bank of Industry, which is the deploying agency. The office of the Minister executes the GEEP program via the Bank of Industry. 'The governance structure of GEEP includes the office of the Vice President (National Social Investment Office), The Ministry of Trade and Investment, and the Bank of Industry." Speaking on measures adopted to enhance repayments, the Presidential Media Aide said GEEP has pioneered innovative solutions to drive repayment compliance. "Working with the Central Bank of Nigeria (CBN), and the Nigerian Interbank Settlement System (NIBSS), we successfully piloted the concept of the BVN as digital collateral; and we saw repayment go up significantly on the Market Moni and FarmerMoni loans. 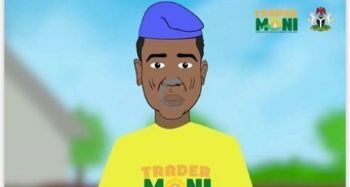 For TraderMoni, beneficiaries can pay back at any commercial bank in the country just like a NEPA or WAEC bill; all they need to provide the bank teller with is their phone number. We also developed and successfully piloted scratch cards as a repayment option for beneficiaries who stay kilometres away from the nearest banks in their community. The cards are loaded the same way Telco recharge cards are loaded, thus requiring no new learning curve. "This improved repayment received compliance to the extent that in January, the Bank of Industry began second level disbursements disbursements of N15,000 to beneficiaries in Lagos, Borno, Ogun and Oyo states for trader who had successfully paid back their first N10,000 loans," Mr Akande disclosed. According to him, ”GEEP’s vision (in the long term) remains to empower the over 30 million MSMEs in Nigeria with interest free, collateral-free loans.” The GEEP programme, a component of the Buhari administration's Social Investment Programme (SIP) has since inception about two years ago, impacted many lives, improved living conditions and expanded opportunities for ordinary Nigerians to do petty trading as well as small and medium scale businesses.